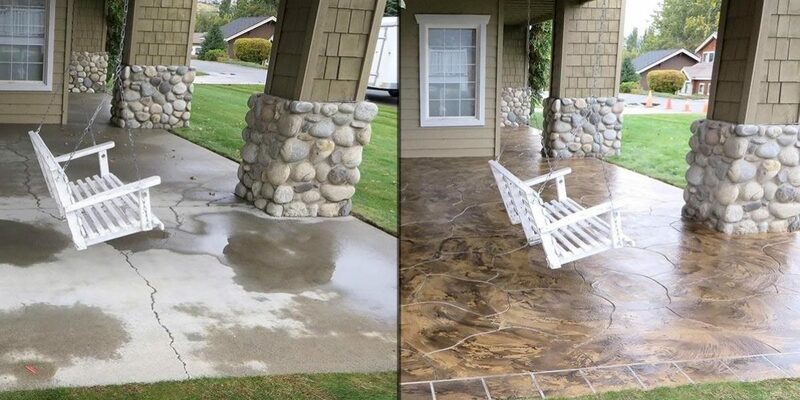 Similar to other areas of our house, the concrete patio too, is an integral part of your house. Some of the major purposes served by concrete patios include, providing area of relaxation to the owners to enjoy comfort and sunshine. However, in spite of their importance, owners tend to ignore upkeep and maintenance of patios, most of the times. And, this becomes one of the major reasons for the concrete patios to wear out before time. Cracks, surfaces turning uneven and sides starting to slide are some of the common damages witnessed in concrete patios and which need immediate attention. However, the task of repairing concrete patios can prove to be an overwhelming one, for the owners. But, we are professional patio repair service providers who pledge to take care of the above mentioned issues. We ensure of sending over our representatives to your home, for assessing the amount of damage to your patio and put forth their estimates, before they start work. The cost of repairs is calculated on the basis of per square feet.